This is an AUTHENTIC World War II "felt" patch from the 2nd Division of the USMC (I think). Not real sure of their designations back then, but these were picked up from an "old-timers" collection. Only have a few of them. 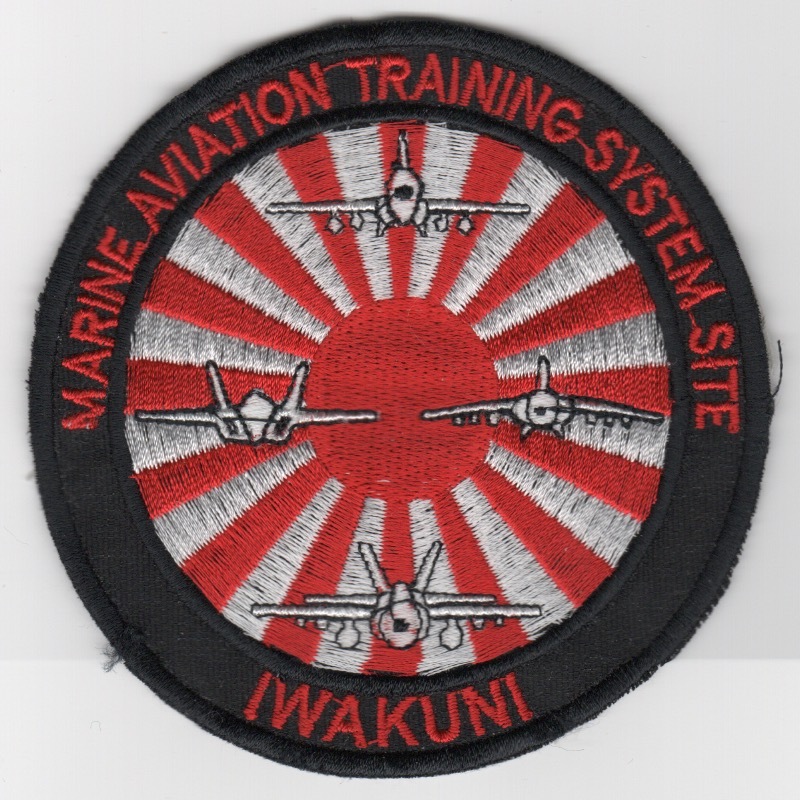 This is the MARINE AVIATION TRAINING SYSTEM Site patch for the Iwakuni Training Center. This was found in a Korean embroidery shop, so it has that "theater-made" feel to it and does not come with velcro attached. This is the Marine Air Weapons and Tactics School "HUEY" patch. They use the Hueys for the exercises in which they participate. I believe they are located as MCAS Yuma, AZ. This is the helicopter patch for the USMC AH-1W 'Supercobra'. This is the desert version of the 2nd MEF/2nd ANGLICO patch that says "Lightning From The Sky" (top) and "Thunder From The Sea" (bottom). This patch does not come with velcro attached. This is the Third Marine Aircraft Wing, Aviation Combat Element (Forward), more commonly known as 3rd MAW ACE(F). 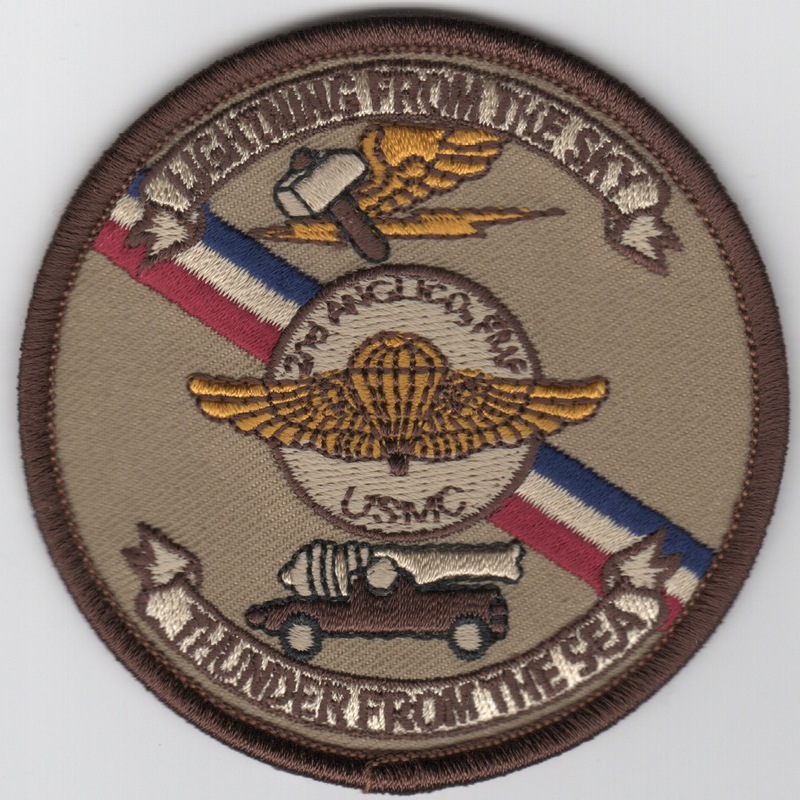 This is the color version of the Marine Air Group 11 (MAG-11) unit patch. This is the subdued version of the Marine Air Group 11 (MAG-11) unit patch. This is the color version of the Marine Air Group 16 (MAG-16) unit patch. This is the subdued version of the Marine Air Group 16 (MAG-16) unit patch. This is the color patch for the 22nd Marine Expeditionary Unit (MEU) and the Fleet Marine Force (FMF). Homepage Order Misc USMC Patches!